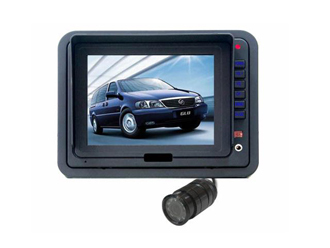 Model:SM1501-1085KIT 5"TFT LCD monitor with wide viewing angle and fine pictures. No radiation. Specially design dip switch for each camera Mirror/non-mirrored function. 4pin screw-On connector and RCA plug for video & Audio inputs. Suitable for all Vehicles system come with both headrest & monitor stand, 30ft x 2 or 60ft x 1 screw-on weather proof cable.